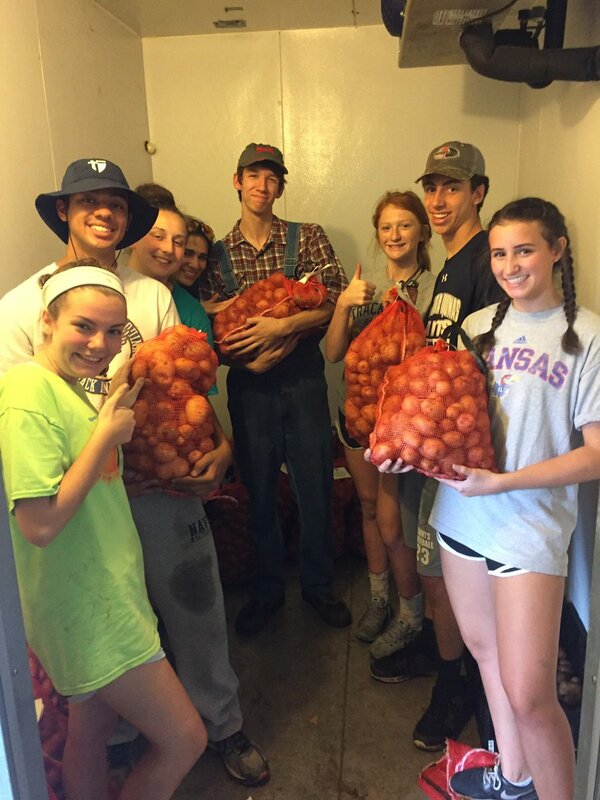 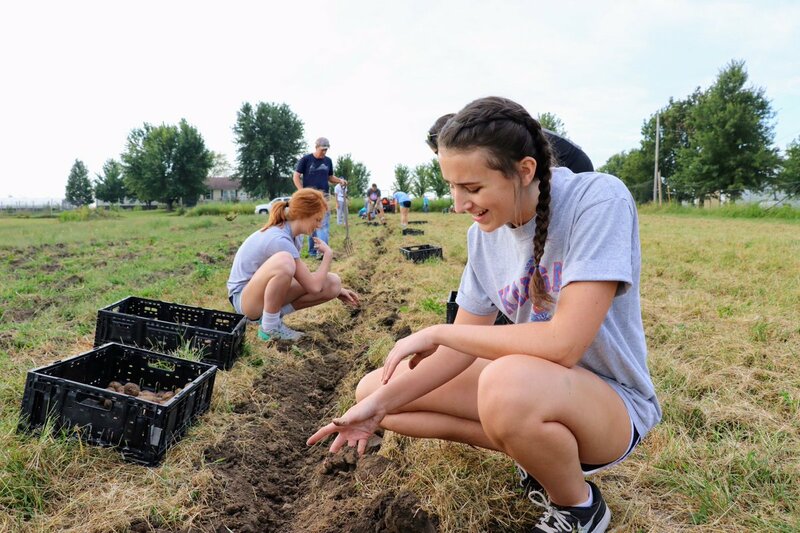 St Thomas Aquinas students volunteered spent a day at Pat & Rachel's Gardens digging, washing, and bagging 700 lbs. 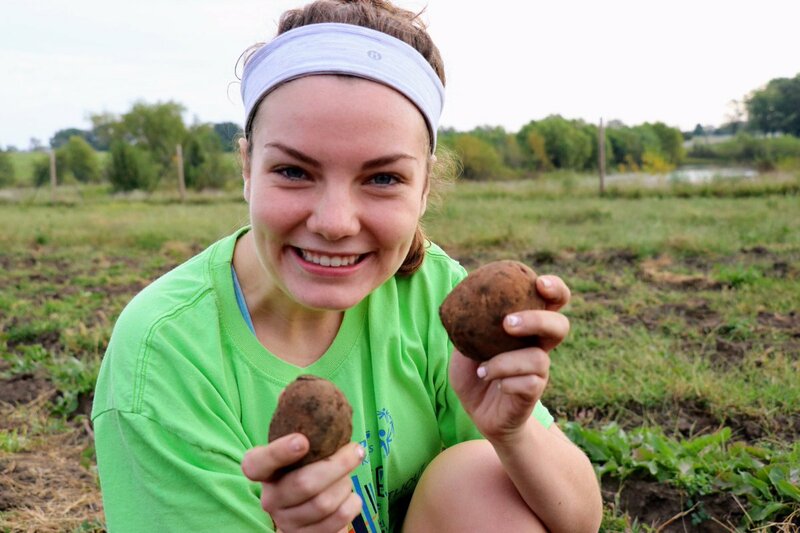 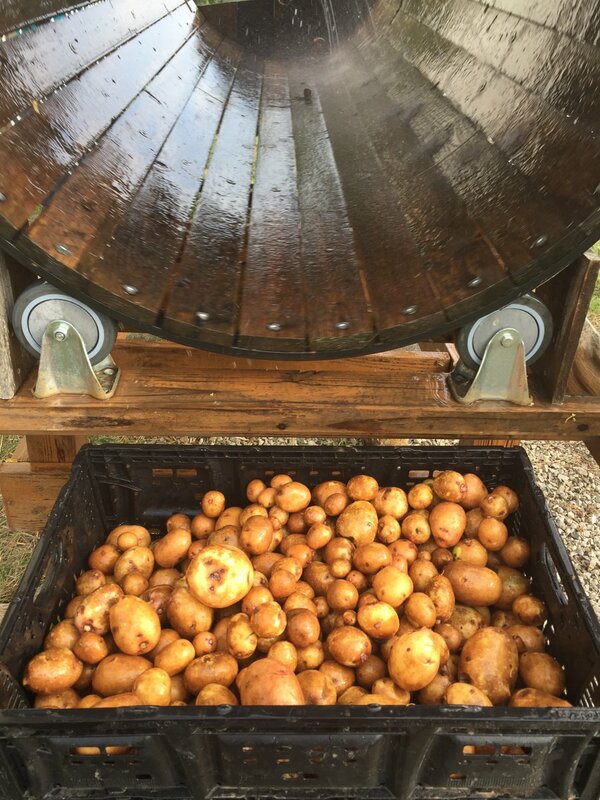 of organic potatoes for Catholic Charities food pantries. 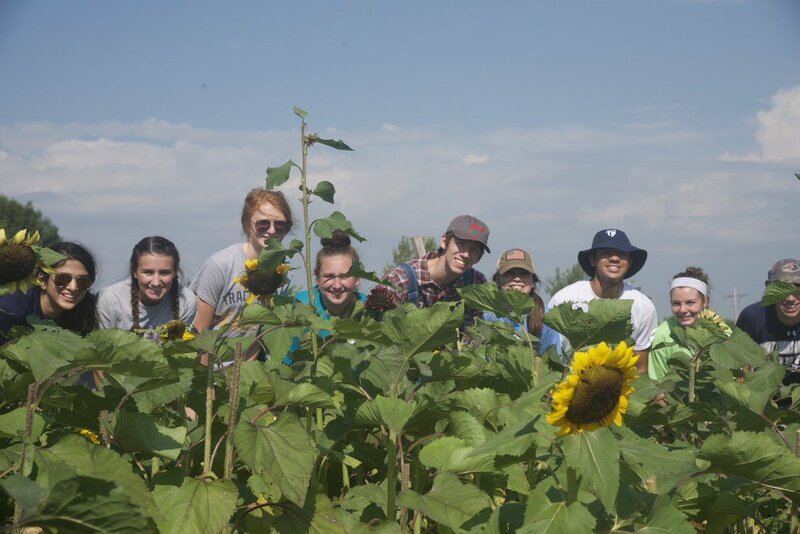 They worked hard, enjoyed getting dirty, and had lunch at the farm. 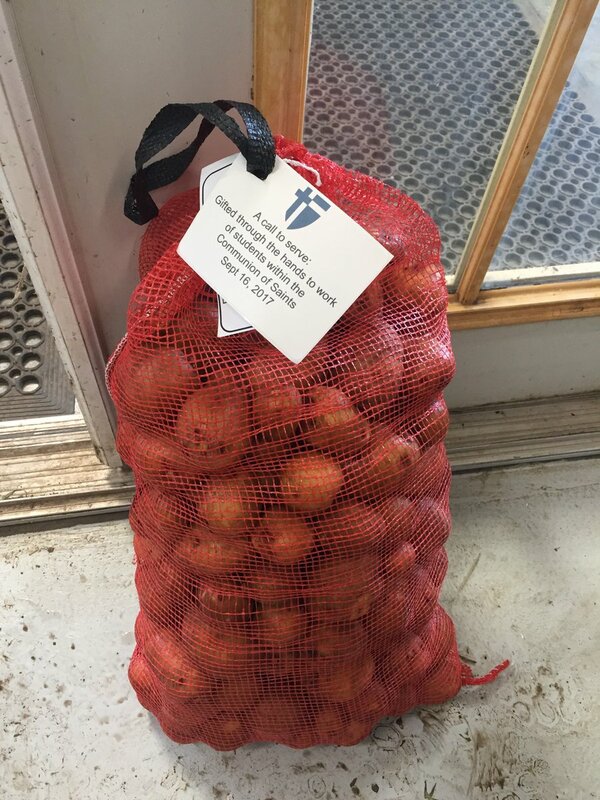 Catholic Charities picked up the bags of potatoes and happily transported them to the Hope Center where they were distributed to the nine food pantries run by Catholic Charities of Northeast Kansas. 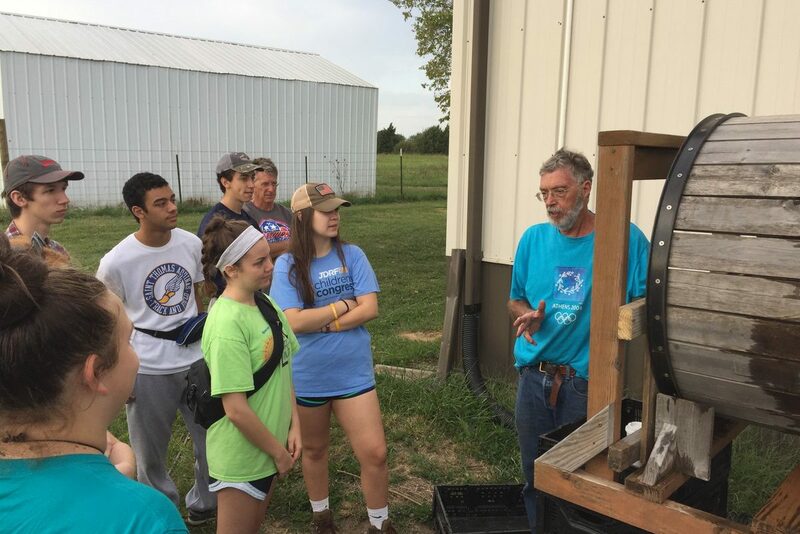 A big thanks to the enthusiastic students, John Tompkins, and Student Council sponsor, Chuck Hammons. 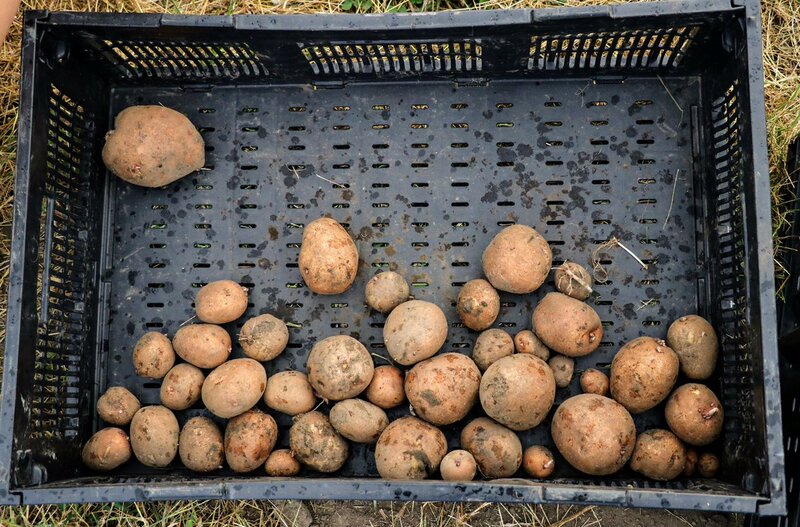 A Plentiful Harvest for Those Who Plant, Weed, Wait and Hope!